Who has time to roll a joint these days? In 2018, everyone is busy and short on time. Many days I find myself not having the time to break down bud and roll it up in a joint like the good old days. Rolling joints can take significant time out of your day if you’re not careful with your time. Recently I have taken to vaporizing and dabbing as these methods are quicker than rolling joints. However, it still takes time to break down flowers or prepare your dabs, and then there is also the time it takes to clean out your vape or dab rig. If you’ve been struggling to find time to enjoy your cannabis, then the guys from Kushoil.com have a great solution for you! This is Nathan, I'm a real customer of Kush Oil products, and this is my real review. What is Kush Oil’s product? 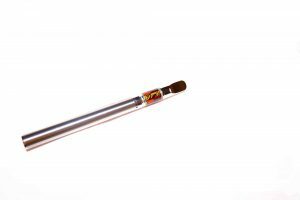 Kush Oil sells disposable vaporizer pens that contain liquid cannabis oil extract from a variety of different indica and sativa strains. The company uses a pure CO2 extraction method which provides a higher-quality finished product with all terpenes remaining active and in place throughout the process. Compare this with butane or propane extraction methods where the process of purging removes the terpenes. Some companies will then reintroduce terpenes back into the extracted oil, but this results in an overall lower quality product than the CO2 method. The vaporizer features a reusable battery and an interchangeable cartridge of cannabis extract on the tip. When you run out of extract, simply purchase a new extract cartridge and continue using the same battery to save money! No matter if you’re a seasoned smoker or are new to cannabis, there is no denying that burning plant matter creates carcinogens, which have been proven to be harmful to the lungs and respiratory system when inhaled. Although there is much debate as to the extent of damage that smoking cannabis can cause, if you have experienced vaporizing cannabis versus smoking a joint side-by-side, then you can immediately feel that smoke is harder on your throat and lungs than vapour. Try using a Kush Oil pen for a couple weeks and you should notice that your lungs and throat feel better with less coughing and irritation. Hands down the best feature about the Kush Oil vape pens is the time saving and the ease of use. These vaporizers will save you a ton of time because they don’t require any preparation; simply turn on the pen and take a draw of pure cannabis extract. Just a couple draws and you’ll be feeling the effects thanks to the high quality extraction method. It can’t get much easier than that! The Kush Oil pens are great if you need to be discreet or don’t want to smell like a joint around friends or family. This pen is my go-to for when I’m out and about with friends because it has no skunk smell. If you’re an outdoorsy person like me, this pen is fantastic for snowboarding or hiking where it may be too windy to spark up some fire. This is Nathan and this has been a real-world review of the Kush Oil cartridges and vape pen. I am a huge fan of Kush Oil's products ever since trying and I highly recommend you give them a try! Where to Buy If you would like to try Kush Oil’s pure CO2 extracted cannabis oil, please visit the online store. Kush Oil Cartridges: What Types of Strains are Available?